Are you having broken links on your blog? If you are, you must consider checking them and redirecting or removing them. If you don’t know how to check broken links in WordPress, in this post, we will show you how can you check broken links and remove them. Typically, there are 2 methods available for finding broken links. We will cover them both here. This method will work on almost all websites. No matter if you are on WordPress or any other popular blogging platform. All you need is, go to Broken Link Check. Enter your domain name, and click on find broken links. Enter the captcha and find all those broken links. Soon, the website will show you all the broken links on your website. It will not affect your website speed or performance. Log in to your WordPress admin dashboard and go to add new plugins. 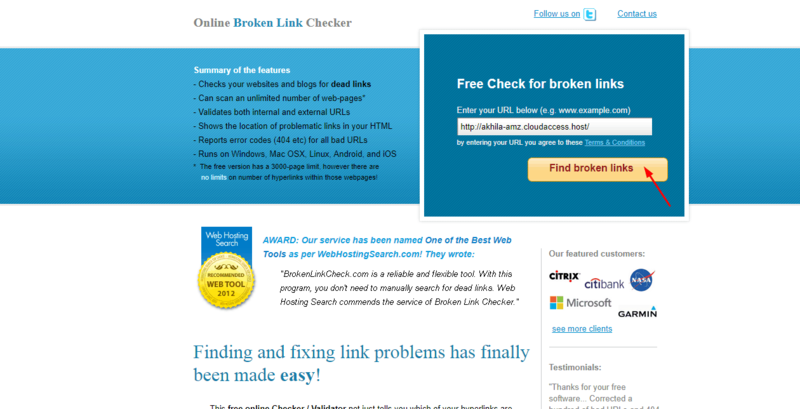 You need to install the Broken Link Checker plugin on your blog. After installing it, simply activate the plugin on your blog. Under the settings menu, you can see the plugin settings. You can look for broken links in your posts, pages, custom post types. Also, you will be able to check broken links in published posts, drafts, schedules posts, private ones, and pending posts. Which links you need to check for? We recommend you check them all! These settings are enough for beginners. Now, you can see the broken links under the tools menu. You can see I have got 3 broken links here. All of them are external. For fixing it, I can unlink it or redirect it to somewhere else. We recommend you editing the URL and adding the right website address. By using this plugin, you don’t even need to go to the specific posts and pages. You can edit all those broken links from this dashboard. NOTE: Due to high CPU usage, some WordPress hosting companies like WP Engine got disabled this plugin on their servers. If your web hosting company restrict this plugin, we recommend you use the first method. We hope you found this post useful and learned how to check broken links in WordPress. If you did, please consider sharing this post with your friends and fellow bloggers on social media. For more related posts, you need to check our blog. Just a simple question. I am a pure beginner. Do I need to choose WordPress.org or can I go with WordPress.com? Thanks for leaving comments. We’ll definitely recommend you the self-hosted WordPress. For more, see our comparison between WordPress.com and WordPress.org. We are using the website method, Nate.